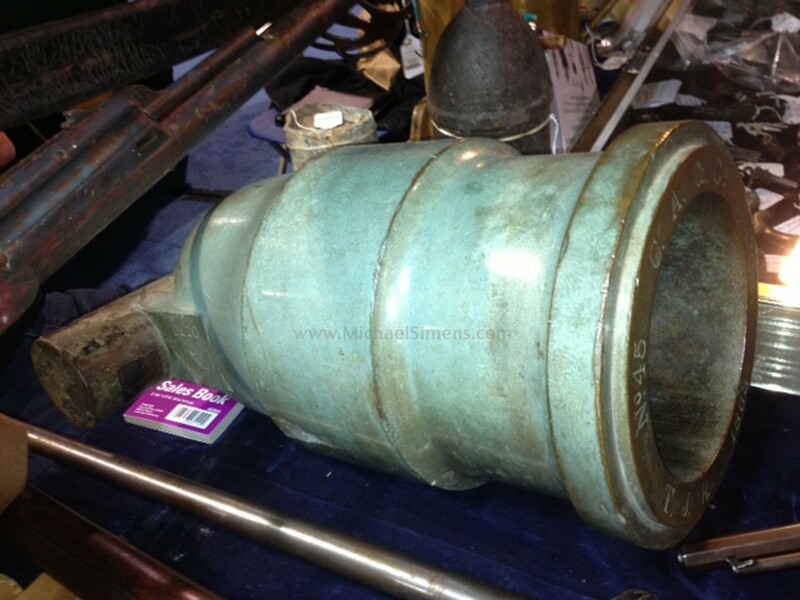 This is a beautiful condition, 24-pound Coehorn Mortar made by Cyrus Alger. 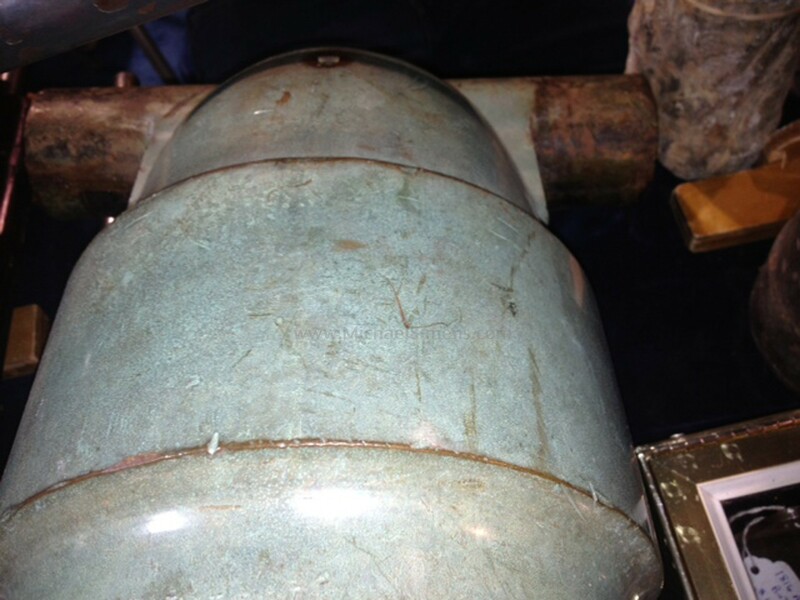 Identical to the Ames 24-pound Mortar, this example has a beautiful patina and strong, crisp markings with inspector marks. 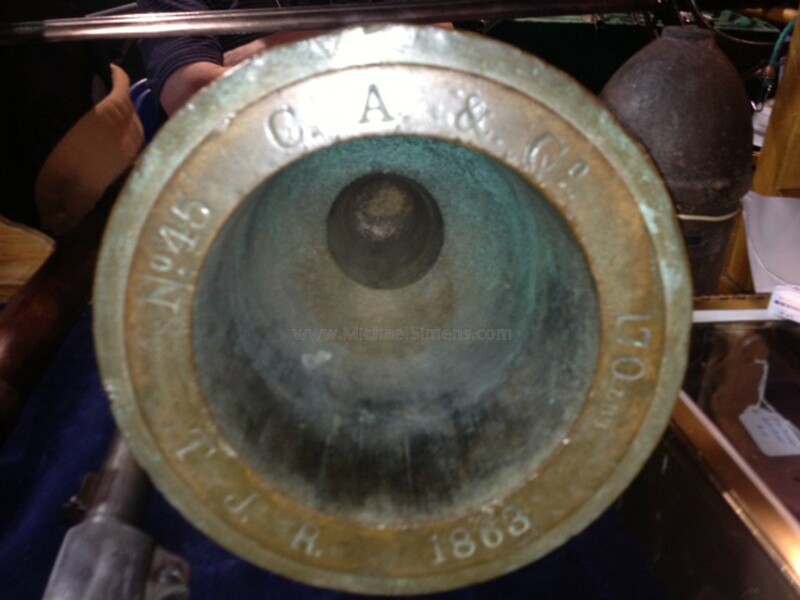 It is dated 1863 and weighs in at 170 pounds, serial number 45 for that year. These mortars were mounted on a wooden base with 4 handles for easy handling on and off wagons. They were used by both Northern and Southern troops during the war with great effect and are one of the most popular pieces of artillery in the collecting field due to there size, which allows collectors to place them in most any office or gun room. These guns regularly bring 27 - 34k with one selling in March of 2015 for $33,000 at auction dated 1865. It probably never saw action during the war and this one is dated 1863, right in the heart of action during the War for Southern Independence!! If you know of someone that was bidding in the past or currently looking for a fine Mortar, let them know this is available. We deliver free of charge East of the Mississippi.